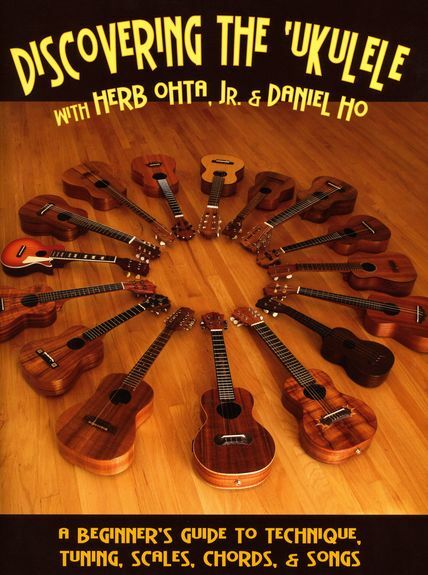 International recording artist, Herb Ohta, Jr., and Grammy award-winning musician, Daniel Ho, have toured extensively in support of their two albums, Ukuleles in Paradise and Step 2: Ukuleles in Paradise 2. Discovering the ‘Ukulele was inspired by their collaborations as performers and instructors. In this informative book, Daniel and Herb present their unique perspectives on the Uukulele. Following a brief history and description of the Ukulele, they share their ideas on technique, how to play scales and chords, and effective practicing. Also included are 14 traditional, Hawaiian, and original songs written in tablature and notation for your study and enjoyment. Máte také možnost stahnouti MP3 k knize.